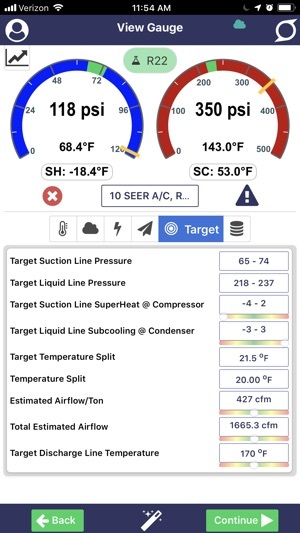 The iManifold App Calculates HVAC/R system performance and troubleshoots system problems through user inputs and dynamic, live system data. 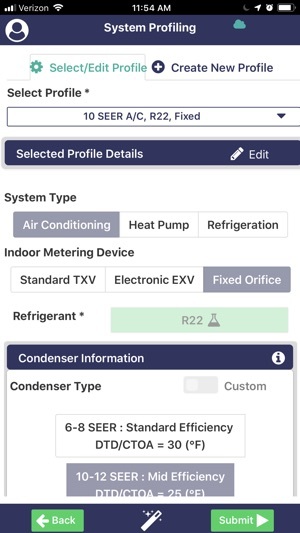 With over 40 selectable refrigerants and equipment profiling options, the iManifold app can be custom tailored for many common HVAC/R systems in the field. 5 New Reports are available now!! 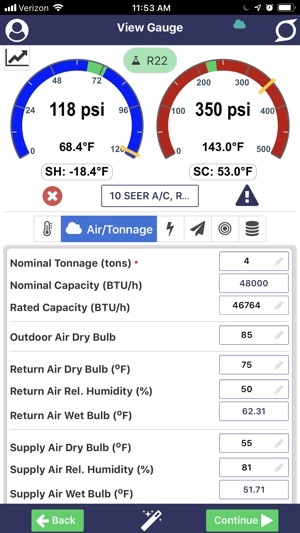 Search Customer and Equipment from Cloud! 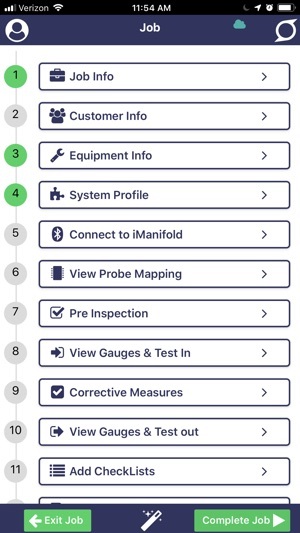 Extensive system reports for job quality control. 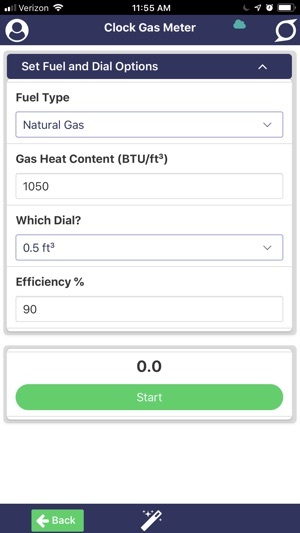 I’ve being using the app and manifold for over a year now and it was a delight to work with, having no issue with either one. The new 2.0 version have just destroyed that good experience. It was not ready for the public, with many glitches to be fixed. 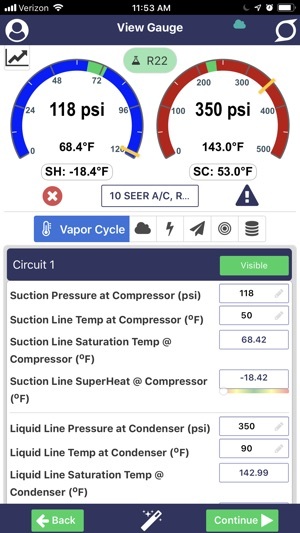 If you connect your manifold to the app it doesn't show the gauges. You are force to login now to experience the app. Too much information cramp in one place. The cleanness of the app is gone. I’m not updating my tablet. At this point, going back to old version will be an update. Don't make the mistake of updating! Like many others, I have been using the iManifold for a couple of years. 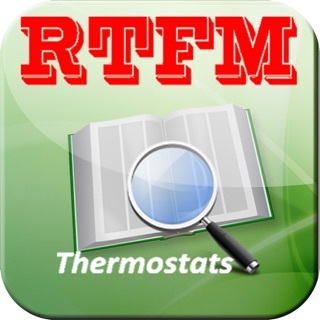 The old version of the app was much more user friendly. I find that the new version is very clunky and difficult to navigate. I only care about seeing the gauges and temperatures. Can you please put the old version back on the app store, maybe as a second download option? I used to love the older version and used it just about everyday. The new update is horrible. 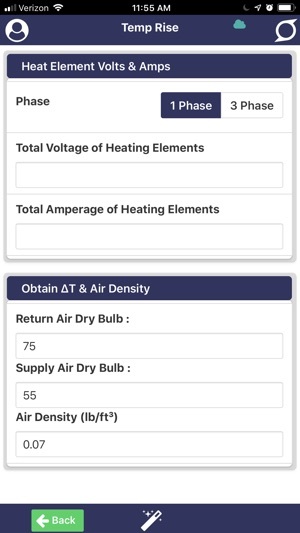 The log in feature is a time waster in the field and I hate the fact that they removed the clock gas meter feature which I used on a daily basis for combustion analysis and input verification. 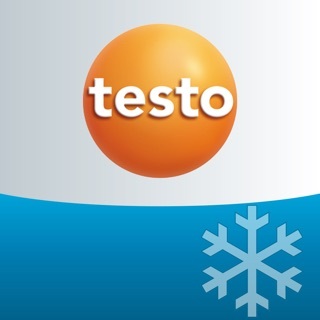 I would not recommend this app to anyone! © 2013-2019 North Park Innovations Group, Inc. All Rights Reserved.